Sarao Hotel is quite popular due to its amazing location and a number of basic facilities. The rooms are spacious and have been provided with really large windows. 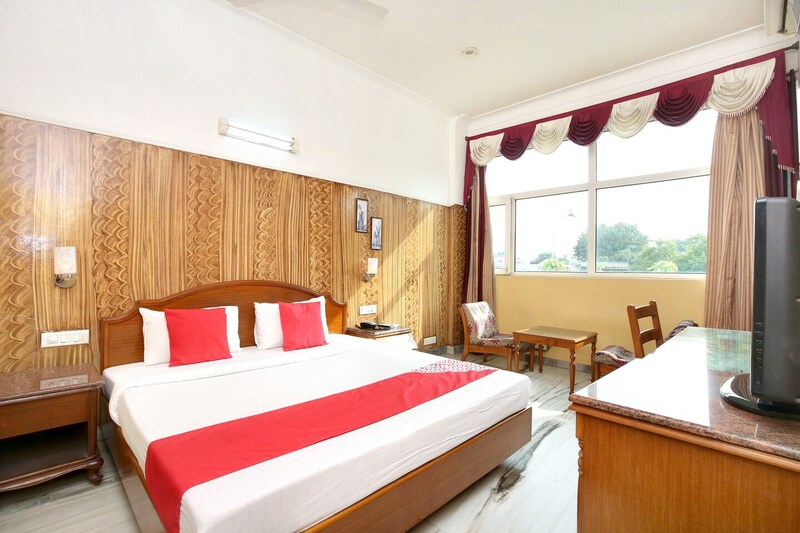 The rooms are well-furnished and a lot of wood work has also been used in the interior decor of the room. All rooms have been painted in warm colours such as red, orange and yellow. The curtains are quite thick and help the guests sleep even when the sun is up outside. The additional facilities offered by the hotel are wheelchair accessibility, card payment in all forms, a room heater and a mini fridge in each room, an elevator, parking provisions, a constant power backup source, and free Wifi.